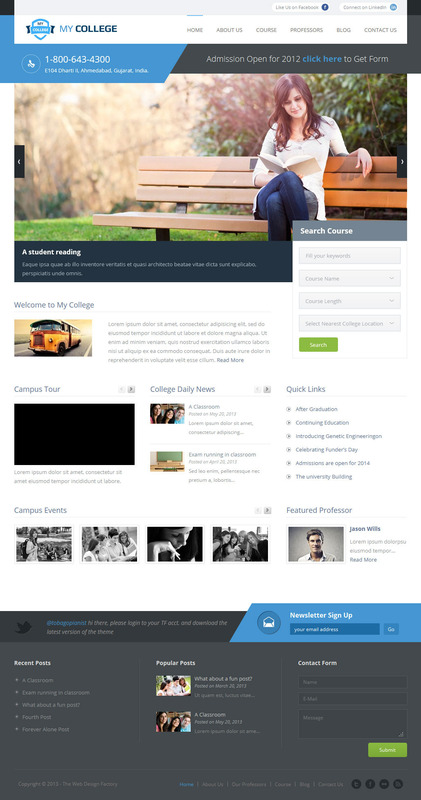 My College is a powerful responsive education & blog premium WordPress theme jam-packed with features. My College will fit your large desktop screen, all the way down to your iPhone – and of course any Tablet or iPad. SEO (search engine optimization): My College is SEO optimized and it follows the latest trends and best practices in onsite optimization. My College comes with 3 color styles, custom widgets, touch & swipe enabled featured slider and much more. 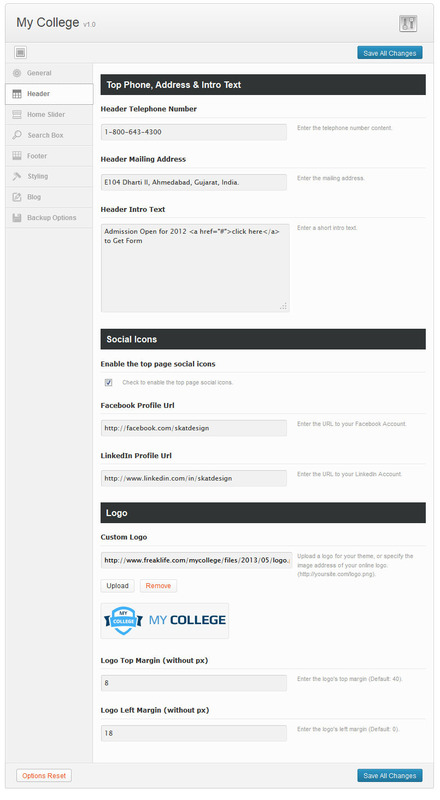 MyCollege is ready for translation. It already has the ”.po” and ”.mo” files included and ready for translation in any language. - Fixed some problems with the child theme. - Changed the sample data to the new domain name. - Fixed the problems with the child theme. - Cleaned the code a little bit. - Fixed some problems with the iPad responsiveness. - Managed the auto-formatting feature. - Fixed footer misaligned icons and copyright. - Updated the Twitter widget to the latest API.